I know what you’re thinking. “It’s only October! Why are we talking about Thanksgiving already?!?”. Today my friend Melanie is sharing some tools from Pampered Chef that will help make your holiday meals easier to prepare. I’m sharing them with you now so you’ve got time to get them ordered so you can use them on Thanksgiving. While I’m not receiving anything in exchange for this post, I do want to disclose that I use Pampered Chef products myself and love them so I have full confidence sharing them with you. There are SO many awesome products I think everyone should have to prepare the perfect Thanksgiving dinner so it was very hard to choose just few. 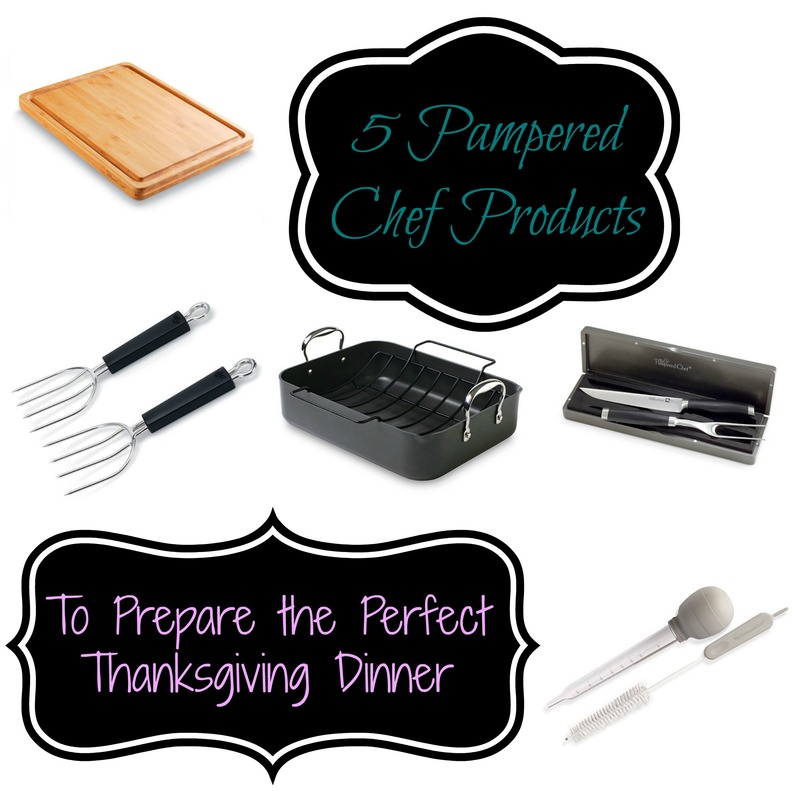 So I was thinking of maybe just 5 products to help you cook and serve the perfect turkey! Having the perfect nonstick pan to cook your turkey in is key. 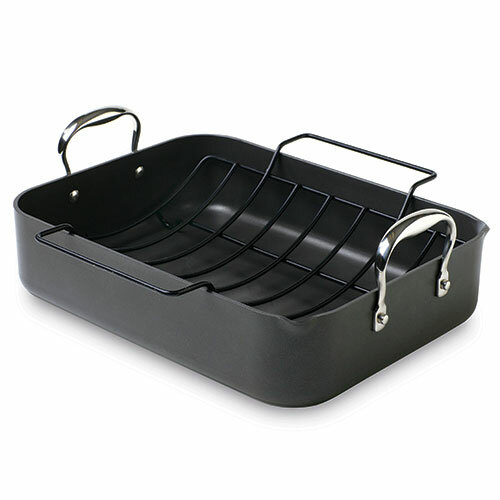 You want something that will hold the juices in and is sturdy enough to support the turkey once it’s cooked. The last thing you want is to drop your beautiful bird on the floor after it’s all cooked. During cooking, you’ll want to baste your turkey several times to keep it moist and delicious. 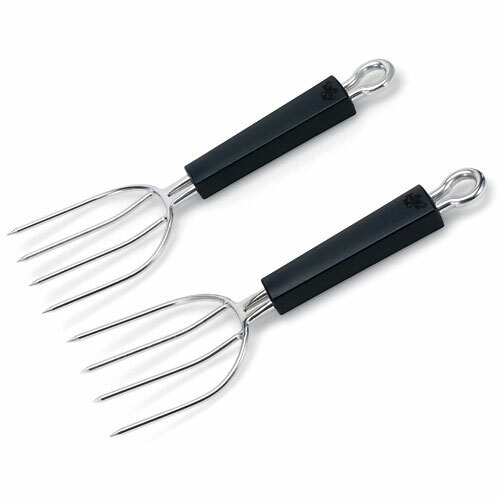 With the cleaning brush included, it’s a great deal. Once your bird is cooked through, the meat lifters will come in handy getting him from the pan to the plate. Anything that is dishwasher safe is a good thing in my book! Carving the turkey on your serving platter can be tricky. 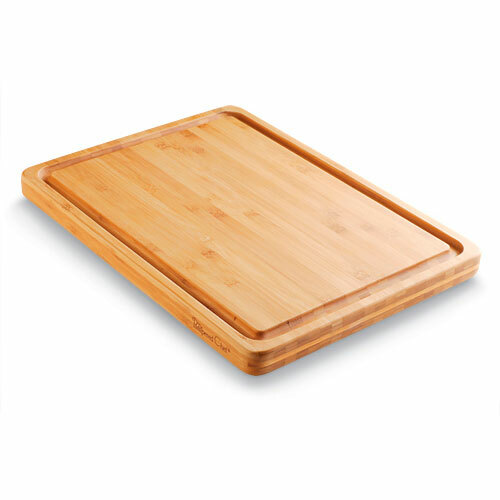 This board can be your go between from the pan to the plate but it’s pretty enough that you can even serve right on the board itself! Having the right tools for the job is important. 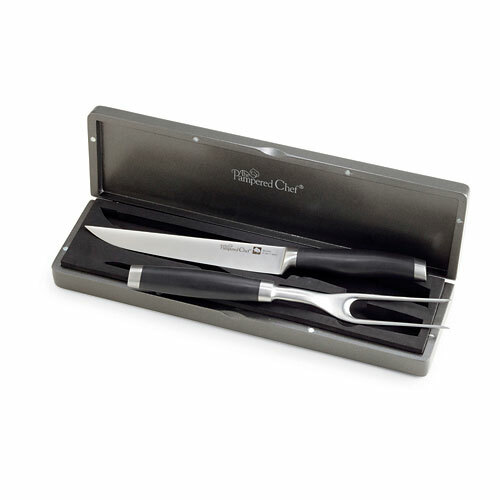 Sharp knives will make all the difference. Believe it or not, injuries don’t come from sharp knives, but from dull ones because it takes so much more work to cut something. The case these tools come in help you keep everything stored nicely until you’re ready to use them again. Did you know Pampered Chef also has recipes? Many of the products have recipes that come with them and your consultant will also have some to share based on your purchases. Here’s one that you can try out with the items listed above for a delicious turkey! Clicking on any of the included links will take you to Melanie’s website where you can place your order today. 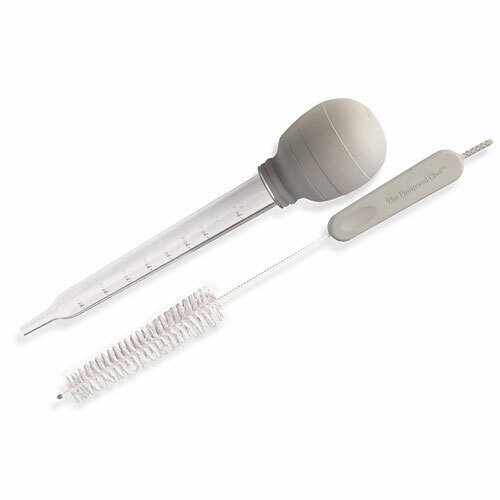 What’s your favorite Pampered Chef tool to use while preparing Thanksgiving Dinner? Leave a comment and let us know. OMG, I need those meat lifters! Can you post (or send) me the link to your friend that is selling’s website? I don’t currently have a Pampered Chef rep and I’d love to give the business to her. Thanks. If you click on the name of the product and go to my website, there is a “Contact Me” button. Please send me your information and I would be happy to help you with your Pampered Chef order! Thank you and I look forward to hearing from you!